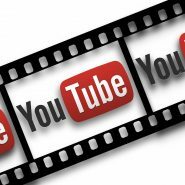 YouTube, valued at an estimated $30 billion started out as a video hosting site, but over the years, it grew into a social media hub, an educational hub, and an entertainment platform. Around 500 hours’ worth of video is uploaded to the video-sharing website every minute. Binge watching the streaming YouTube channels is a favorite pastime for billions of millennials. YouTube’s end-user agreement, however, does not permit its users to download the curated video content. To save the shared content for later viewing, users need to download, install and configure third-party video converting and downloading apps. Finding the right video converting application can be a daunting task, especially considering that there are thousands of almost similar downloading software at your disposal. Before clicking any agree and download button, users need to factor in important aspects like the compatibility, user-friendliness, specs, and stability of the YouTube video downloader or converter. Without any further ado, here are the most impressive third-party apps to ease a seamless YouTube downloading experience. This app tops the list due to its versatility brought about by its excellent inbuilt features. It only takes one simple click to grab videos from cross platforms like Vimeo, Dailymotion, Instagram, Facebook and of course, Youtube. The app supports a broad range of video and audio formats namely AAC, WMV, FLV, 3GP, MP3&4, 4K and HD outputs. Freemake Video Downloader is yet another popular YouTube video downloads software. The downloader converts videos almost instantaneously and it is very easy to configure and customizable. The impressive app supports virtually all video content formats used on the leading video sharing sites. Users have the option of queuing up videos to download and save later. aTube Catcher is an extraordinary video converting app that’s also free. The installation process is straightforward. This apps comes with an impressive graphic user interface that resembles the Windows 10 grid icon. aTube Catcher is one of the fastest video converting utility tools. Users have the options of queuing up videos on the aTube Catcher user interface. TubeMate is another must-have video converting and downloading the app. The app’s really fun and easy to run. TubeMate detects URLs automatically every time you play videos on your mobile, laptop, pc or any other devices. The app lets users grab their favorite videos from the web’s leading video sharing sites. TubeMate functions well on all the android devices. It’s a free video downloading app with an incredible built-in search function to speed up the downloading experience. Tubemate is the brainchild of Devian Studio developers who are yet to publish their app on Google Play Store. It only takes the user a few minutes to tweak the device settings and get the Android application package (apk) for Tubemate up and running. Any Video Converter Free is another app packed with amazing features. The app’s excellent GUI allows users to simply drag and drop the exact YouTube videos to download and save. What’s more, it only takes you less than 4 minutes to download, install and eventually customize the Any Video Converter Free app on your handheld devices, smartphones and on PC.